In tandem with Monday's iOS and watchOS updates, Apple has activated Apple Pay in Japan, potentially one of the platform's most important markets. In additional to conventional purchases, people can use iPhones and Apple Watches to pay at any location supporting Suica, QUICPay, or iD. The latter transactions require a local model of the iPhone 7 or Apple Watch Series 2, however, since only those are equipped with FeliCa-ready NFC chips. iPads are limited to Web and in-app shopping. 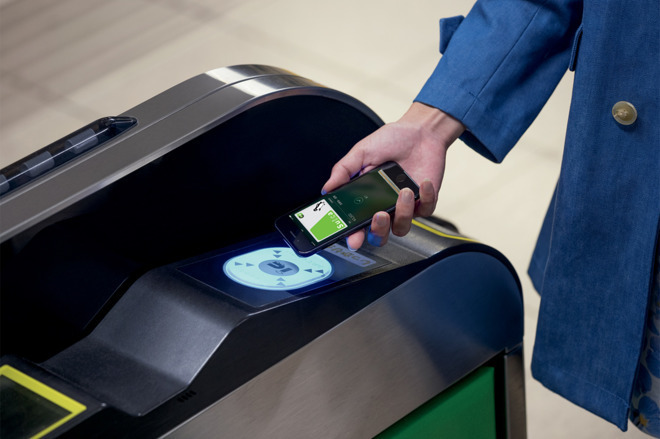 In addition to Suica cards, Apple is also supporting credit and debit cards from the likes of American Express, JCB, MasterCard, Aeon, Orico, Credit Saison, SoftBank, d Card, View Card, and MUFG Card. Since FeliCa is deeply embedded into Japanese infrastructure —particularly its commuter systems —Apple could potentially reap millions of dollars in transaction fees. The company has been hoping to push Apple Pay into other public transit systems, the other major backer so far being Transport for London. To make sure people use Apple devices end-to-end during a trip, Apple has also launched Maps transit directions in the country, though local bus routes are currently limited to Tokyo, Osaka, and Nagoya. Major transit stations should have improved detail in Maps, including their structures and walkways.